From the Hotbeds to the Clouds! Soodevahe district from LIFT11 on Vimeo. Soodevahe from taav zbanski on Vimeo. The unauthorised cottage and gardening settlement in Soodevahe, next to the airport, is among Tallinn’s most unique regions. 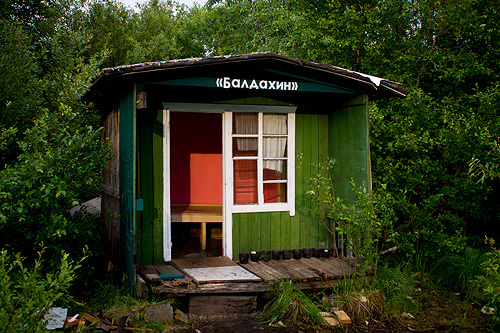 The area, inhabited by a mostly elderly Russophone community, was established in the Soviet times (legally) as a non-residential gardening-only territory for a fixed term but its users, perhaps following a dream of having a suburban dacha, decided to settle themselves without permission. All the buildings were illegal from the beginning. Some of them could have been built of proper materials (purchased, or maybe stolen from the Soviet state) and just deteriorated over time while others were made of scrap or leftover materials. Some people use(d) the village only during the gardening season while a few live(d) there all year round. 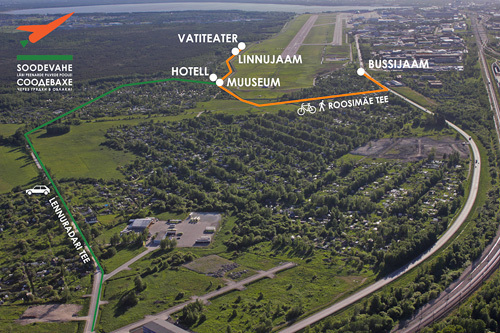 In summer 2011, the area was ‘mapped’ from the viewpoint of it being a proper suburb with its own infrastructure and operational logic. Even though officially unauthorised, the district, featuring ‘scrap architecture’ as its dominant building style, holds environmental value. The development and construction carried out as part of LIFT11 also stuck to the local traditions. New public establishments were set up in Soodevahe, inviting people to come and discover that unknown area of Tallinn. The Soodevahe Museum was opened to serve as an information centre and a meeting point, presenting various materials on the historical development and future prospects of the district. 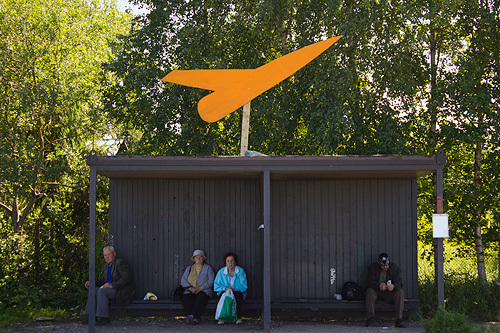 Already earlier, Timo Toots had established the specialised Linnujaam in Soodevahe as a haven for all plane-spotters. In response to the growing number of tourists, a DIY hotel called Baldahhiin (‘the Canopy’), a bar and the Cotton Theatre were set up. Throughout the summer, local people could participate in the Contest for Soodevahe’s Most Fascinating Garden 2011, the awards for which were granted at the Soodevahe festival on 17 September 2011, also held as part of the installation. According to the author, overdeveloped environments are simply boring and uninspiring. To make something out of nothing by way of an art project becomes possible only in the periphery. In a sense, Soodevahe was the quintessence of Tallinn as a place, containing plenty of contradictions and different layers. 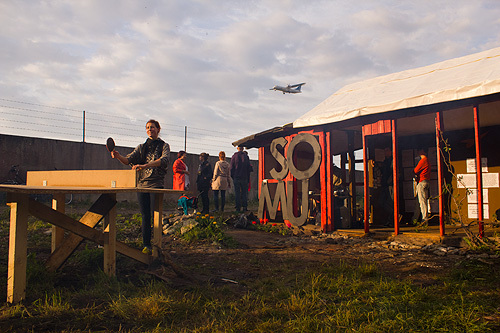 In Soodevahe village, improvised houses stood next to an airport territory, an over-controlled space met a self-regulatory one, an impersonal non-place met an intimate space created by people themselves, a machine-oriented environment met one of human scale. The project addressed various aspects, including those of the emergence of the shack village in the political context of its era, the land ownership issue, the constant temporariness, the impending doom, people’s personal stories and a lot more. The intimacy and dereliction of Soodevahe also contained a dimension of expanse, well summed up by the extended title of the installation, Soodevahe: From The Hotbeds To The Clouds. In May 2011, the landowner disclosed its plan to level a large part of the village to make way for a claimed expansion of the airport: the locals were allowed to collect their harvest in the autumn and then the bulldozers rolled in. 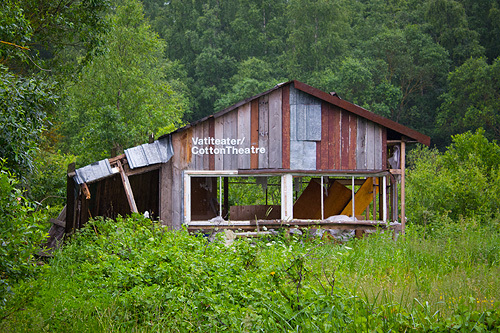 In November, the structures built by Timo Toots were also demolished. 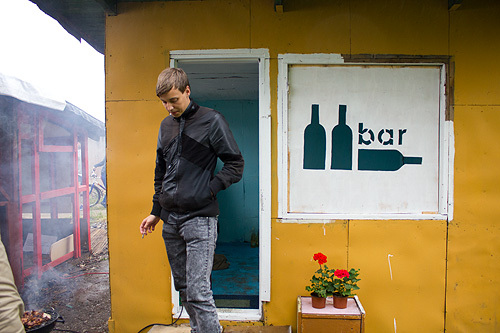 Therefore, summer 2011 offered the last chance to experience the shack village of Soodevahe the way it used to be.